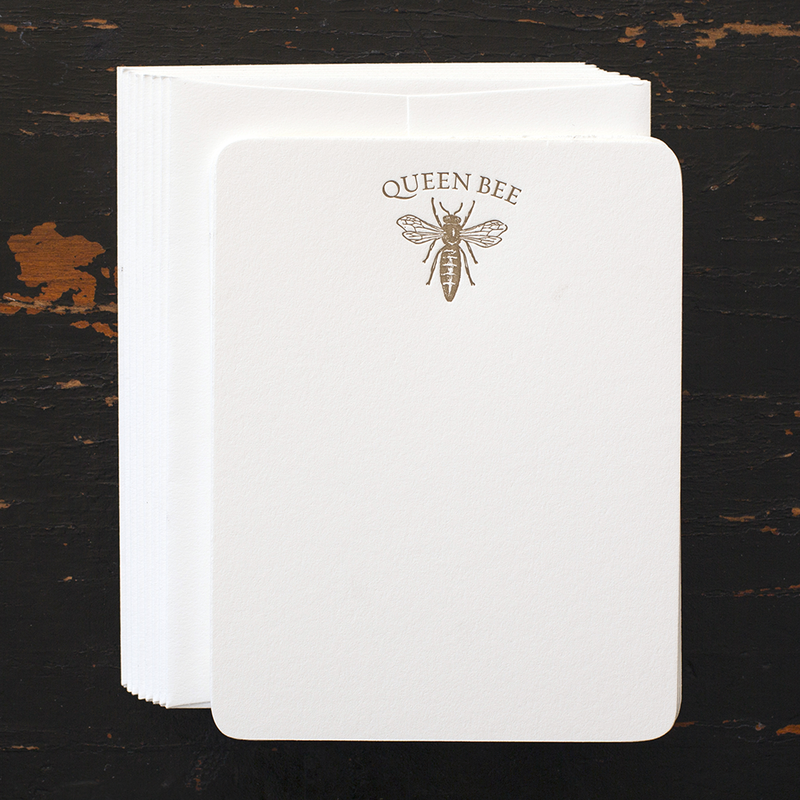 Set of 8 Flat note cards featuring an authentic Queen Bee. 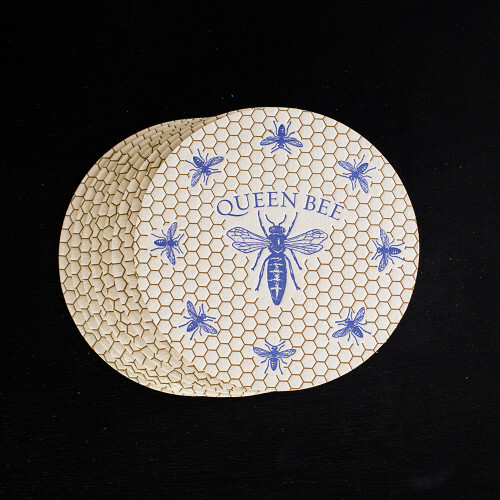 Do you know a Queen Bee who needs these? 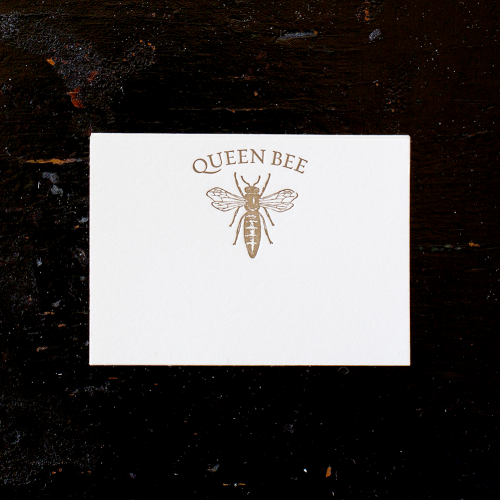 Distinguished by their hand rounded corners and luxurious, 100% cotton, heavyweight card stock. Each note letterpress printed on an antique press in Onyx Black and Early Gold inks. Matching square flap envelopes. Notes measure 4.25″ 5.5″. Set arrives in a neat, clear box, revealing all of its hand rendered details.